Fort Waters (Watters) (1848) - Built on the ruins of the Whitman Mission (Waiilatpu) by the Oregon Volunteers in 1848. The Oregon Volunteers arrived in March 1848 after the Whitman Massacre in November 1847. They buried the dead and establish a temporary fort as a base of operations for the Cayuse War. On November 29, 1847, Cayuse tribal members killed 14 people at the Whitman Mission at Waiilatpu, including Marcus and Narcissa Whitman. In February or early March 1848, the Oregon Volunteers arrived at Waiilatpu, interred the remains of those who had been killed, and built a small fort on the site, which was named Fort Waters. Several bands of troops subsequently spread out through the area in search of the Cayuse. S. A. Holcomb: ". . . we went up the Walla Walla River to this Whitman Mission station.... Then we built a fort of rails gathered from the farms set on end and surrounded by trenches.... Then we scoured the country round looking for property of the Mission, and stock taken from it.... We got back to the fort we had built, which we called Fort Waters, and rested a while." N. G. McDonald: "I was shot thru the right lung. . . . I was taken from that place to Dr. Whitman's Mission building on a litter." Alonzo A. Phillips: "On ariving there [Waiilatpu] the first thing was to gather the adobes from the ruins of the Mission building and make a fort, by building walls and filling in with earth. This fort we called Fort Watters." Alvan C. Brown: "We arranged a kind of fort and a hospital for the wounded and some sick with measles." 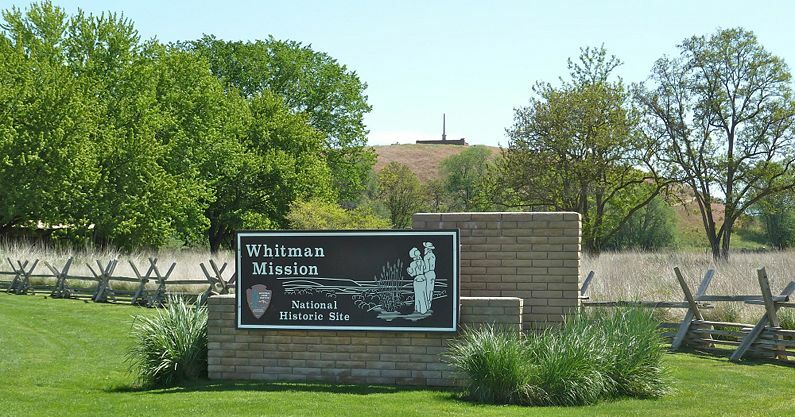 Whitman Mission National Historic Site. Ruins. Location: Whitman Mission National Historic Site, Walla Walla County, Washington. This page was last modified 08:04, 16 March 2019 by Bill Thayer. Based on work by John Stanton and FortWiki user Dman.